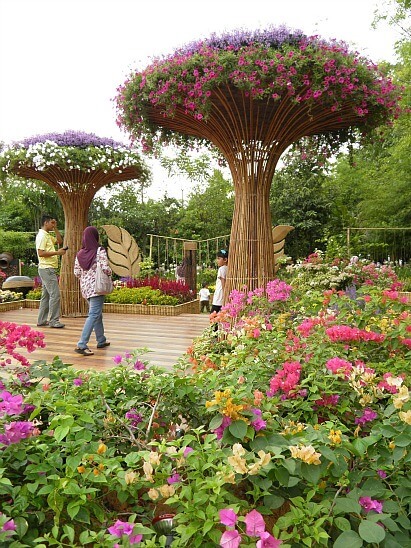 Putrajaya Floria or the Royal Floria Putrajaya 2019 is tentatively scheduled to take place at Anjung Floria, Presint 4 from 31 August - 8 September 2019. This page will be updated with more details of the 2019 event once they are announced. In the meantime you can read about last year's event below. 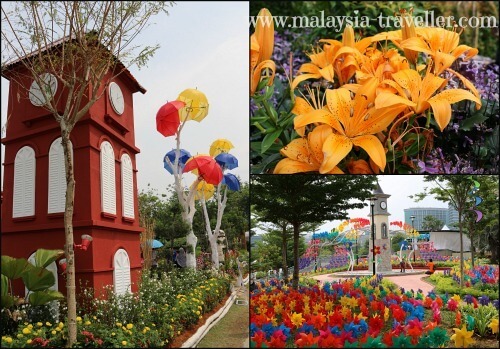 Royal Floria Putrajaya 2018 is Malaysia's leading annual flower and garden festival and is taking place again this year over 9 days from 25th August - 2nd September 2018. 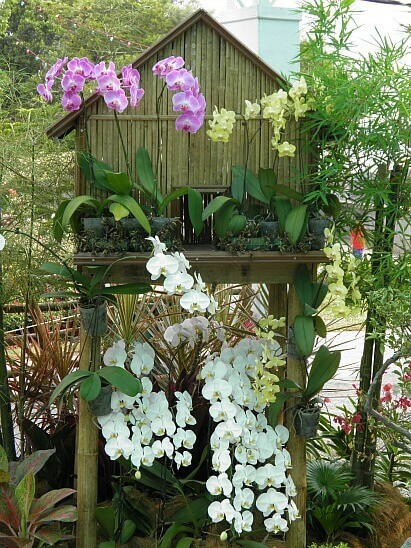 This annual flower show gets bigger and better every year, although last year it took a year off and did not take place. 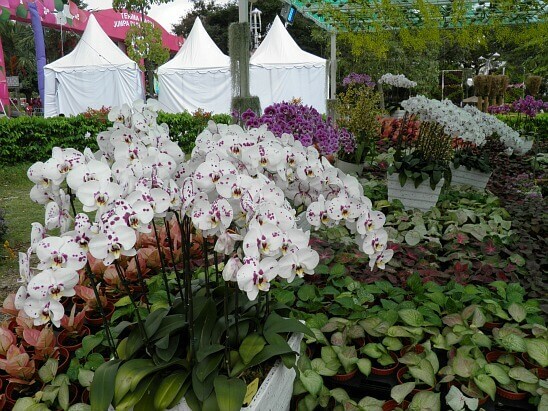 This garden festival is the top event in Putrajaya's busy calendar and over 1,000,000 people attended the last Floria which featured 61 showcase garden lots with 43 international participants from 23 countries. 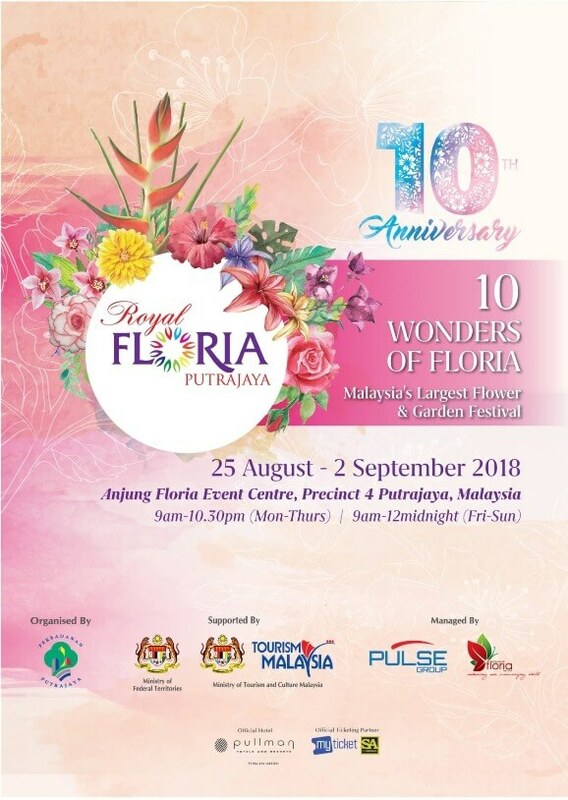 The theme this year is 10 Wonders of FLORIA celebrating the 10th anniversary of Royal Floria and all the theme flowers used in previous years since 2007 will be making a comeback , namely Hibiscus, Orchid, Heliconia, Rose, Bougainvillea, Begonia, Lily and Chrysanthemum. It promises to be a sweet smelling event and should not be missed! The Magic of Bonsai & Suiseki Exhibition. Tropical Magic in a Glass (Terrarium exhibition). Designer Gardens. Professional landscape architects will dazzle visitors with their creative and innovative masterpieces. Tea Party Garden. Returning again this year is the popular lake side garden where visitors can enjoy refreshments and delicious Malaysian snacks. Cat Pavilion.There is a cat show this year featuring exotic shorthaired and longhaired breeds and other domesticated tabbies. Floral Pavilion is an air-conditioned indoor space for floral displays by international and local exhibitors and sponsored by several foreign embassies showcasing the flowers of their respective countries. Garden Bazaar and Horticultural Market where visitors can buy plants, garden products, outdoor furniture, play equipment, biotech products, landscaping services and more. Floria Arts & Crafts. 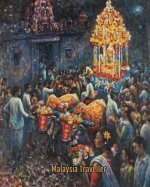 A new attraction for this year are stalls selling traditional Malaysian handicraft products. FLORIA Flavours. There will be plenty of food retailers offering cuisine from various states in Malaysia, fruit sellers and souvenir shops. Showcase Gardens by various associations, organizations, schools, and commercial gardeners will show off their green fingers and garden design talents. More than 300 activities will be held daily such as flower arrangement demonstrations, gardening workshops, entertainment shows, photography competition, watercolour contest and other arts and crafts events. It pays to buy online in advance to obtain the best prices. You can purchase tickets online through the organizer's official website. From Saturday 25th August until Sunday 2nd September 2018. 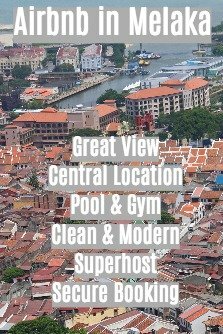 From 9 am until 10.30 pm (Mon-Thu). From 9 am until 12 midnight (Fri-Sun). 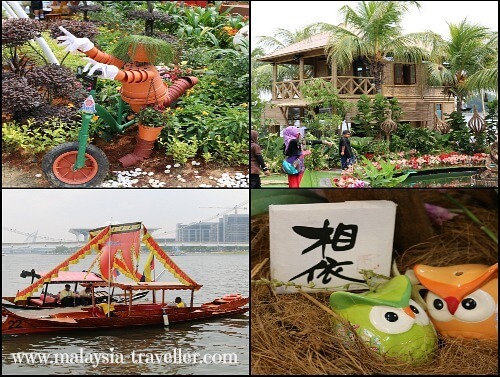 Same as last year, the event will take place at the permanent site at Anjung Floria along the promenade in Putrajaya Precinct 4 close to the famous Seri Saujana Bridge. This site now includes the China-Malaysia Friendship Garden, which is an attraction in its own right. Plenty of free parking is available but expect heavy traffic and big crowds in this area. If you are using public transport you can find details of bus services on the website of the organizers, Perbadanan Putrajaya. The annual Magic of the Night used to run concurrently with Floria at Marina Putrajaya. We await details for 2018. 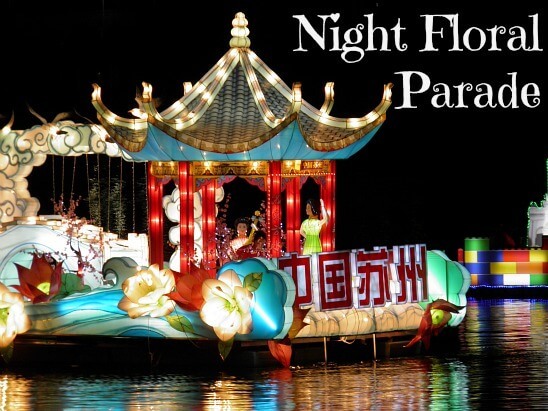 This popular event features brightly illuminated and decorated floats representing the different States of Malaysia cruising up and down Putrajaya Lake.